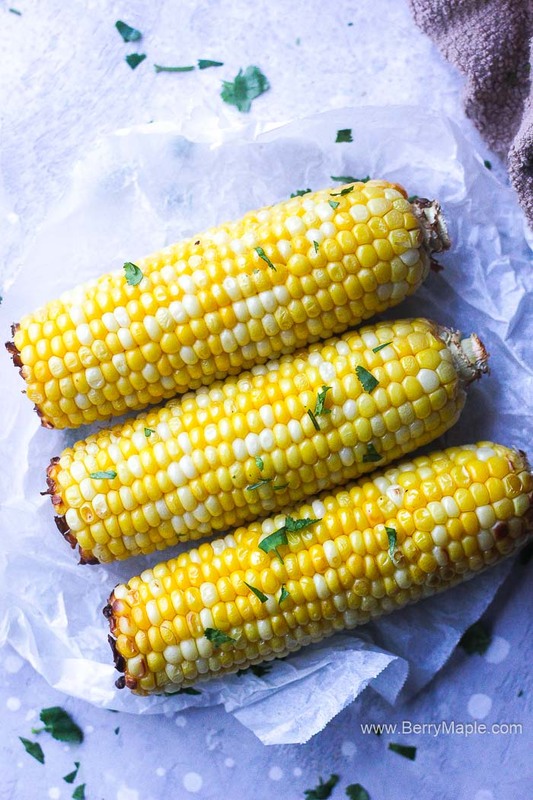 Juicy crunchy perfect air fryer corn on the cob recipe. Easy and ready under 10 minutes! 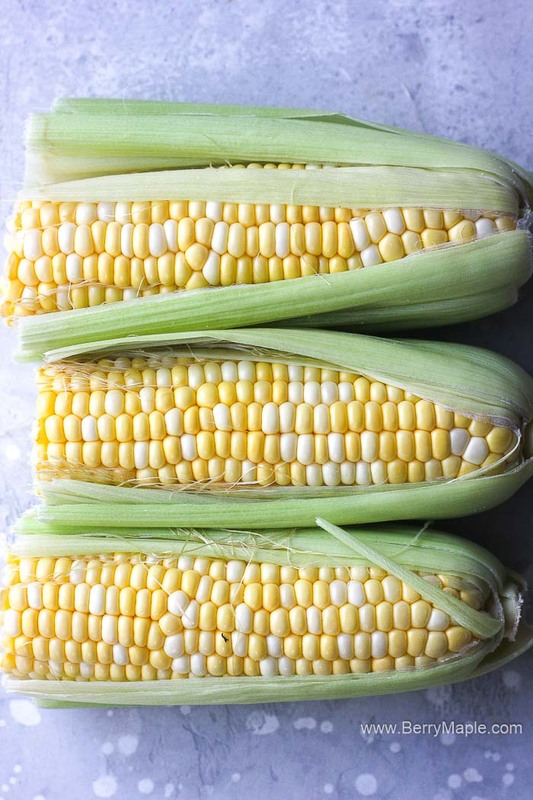 I promise, this will become your go to recipe for a sweet side dish corn for your air fryer. A fantastic side for any meat dish (Air fryer teriyaki chicken drumsticks), great for bbq or just as is, as a snack. 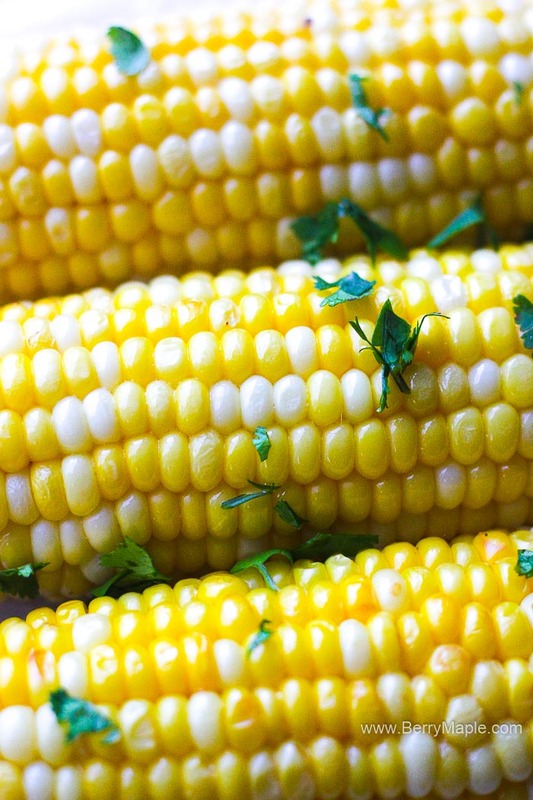 My kids can eat corn on a cob every single day. Especially when in season, in cost only 25 cents a piece, you can find even cheaper deals on farmers markets. 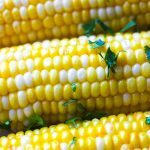 You will not need much- just corn, some butter and some salt( we don’t salt our corn on a cob thought, it already so sweet and tasty! Honestly i am not a huge fan of cleaning the corn. I like to get lazy and buy already cleaned corn, but hey, its twice more expensive! Oh, by the way, did try my latest air fryer recipes? 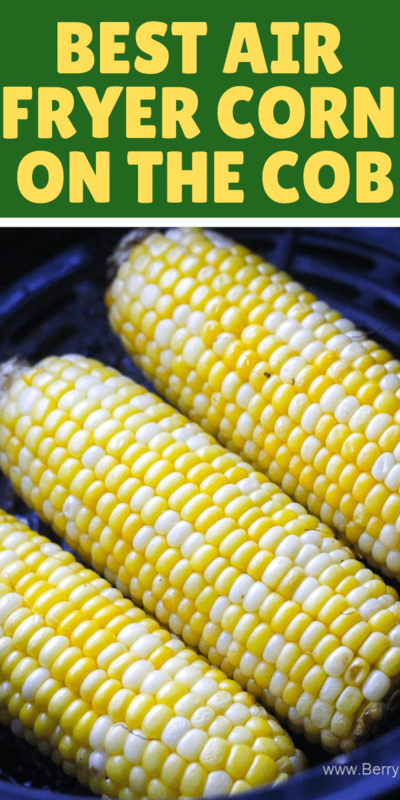 Corn on a cob would be a perfect side dish to Air fryer cheesy pork chops or Best Air fryer whole chicken. 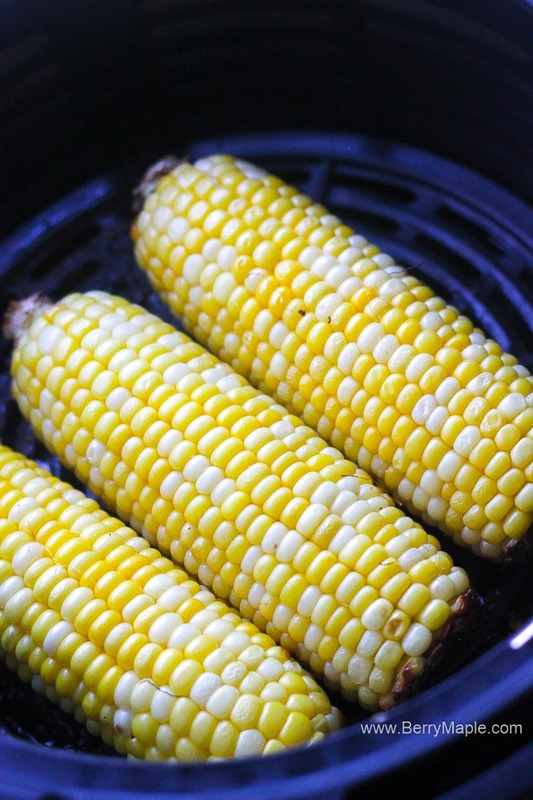 Roasting corn in the air fryer is so easy and even beginner can cook it perfectly from the first try! Clean your corn . Preheat air fryer to 400 degrees. 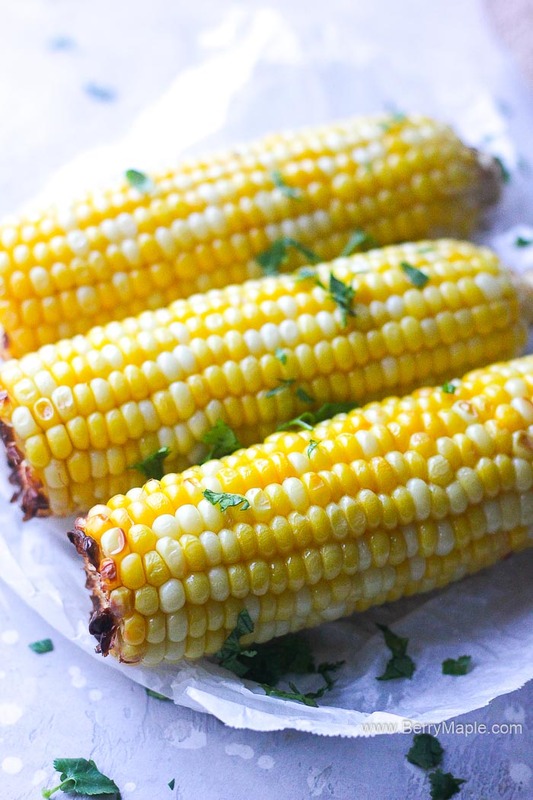 Add corn to the air fryer. Let cook for about 8 minutes, shaking once or twice.